John’s Horror Corner: The Gate 2: Trespassers (1990), remember that teenager who summoned a demon in 1987 and DIED but was given a second chance at life? Yeah, he decided to summon ANOTHER demon! Real nice. 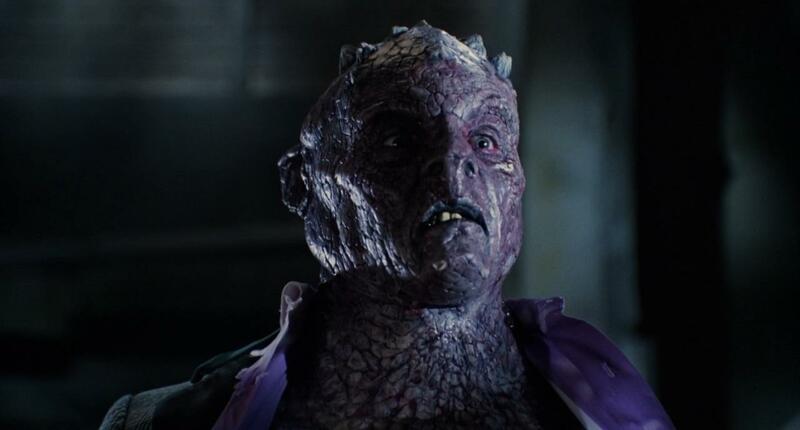 MY CALL: A perfectly enjoyable sequel rich with a diversity of special effects and demons, weighing in with just enough bad words to earn an R-rating. Inferior in premise, writing and impact compared to The Gate (1987), but that’s what often happens with horror sequels. 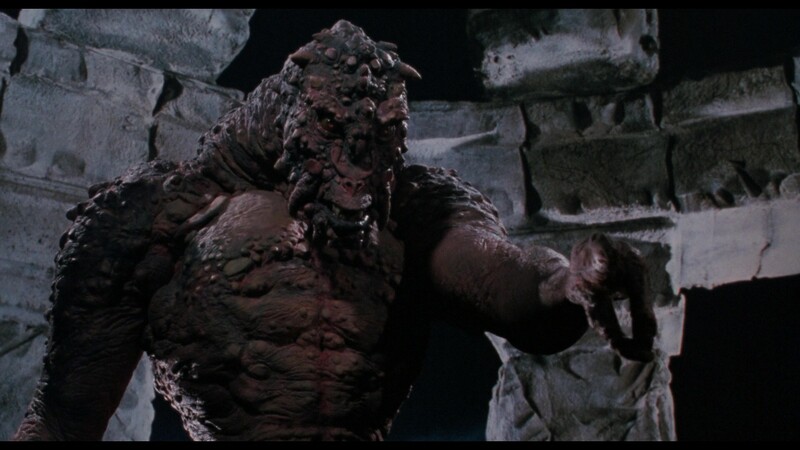 MORE MOVIES LIKE The Gate 2: Trespassers: The Gate (1987), of course! Other films featuring folks who summon power-granting evils they cannot control include Evilspeak (1981) and Wishmaster (1997). Just a few years after the what should have been the most traumatic event he’d ever experience, Terry (Louis Tripp; The Gate) looks back at his past foray in demon summoning not as something that shouldn’t have ever been done, but instead as something that should have been done right. With occult Sumerian calligraphy scribed across his arms and hands, he returns to Glen’s now abandoned house (the site of part 1) to call upon the Old Gods when he is interrupted by Moe (Simon Reynolds; Saw IV, The Skulls II, Cold Creek Manor, P2), John (James Villemaire; Zombie 5: Killing Birds, Matinee) and Liz (Pamela Adlon; Vampire Hunter D: Bloodlust, Louie), the three of whom Terry tutors in demonology so they may all wish their hearts’ desires. They conjure a diminutive demon from The Other Side and shortly thereafter, their wishes seem to come true—cars, money, Terry’s dad gets a good job after a long stint of alcoholic unemployment. Only, with time, their wishes may not turn out exactly as expected. 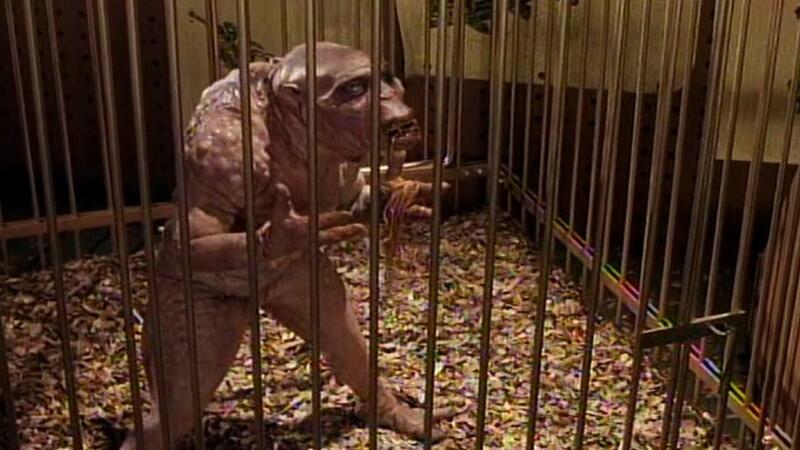 It’s kinda’ hokey, but I love the scene where Terry has to wrangle the escaped demon in his bedroom. This little demon has a lot of personality—he enjoys a birdcage swing, hisses at the naming of his demon lords, and prances around for attention. 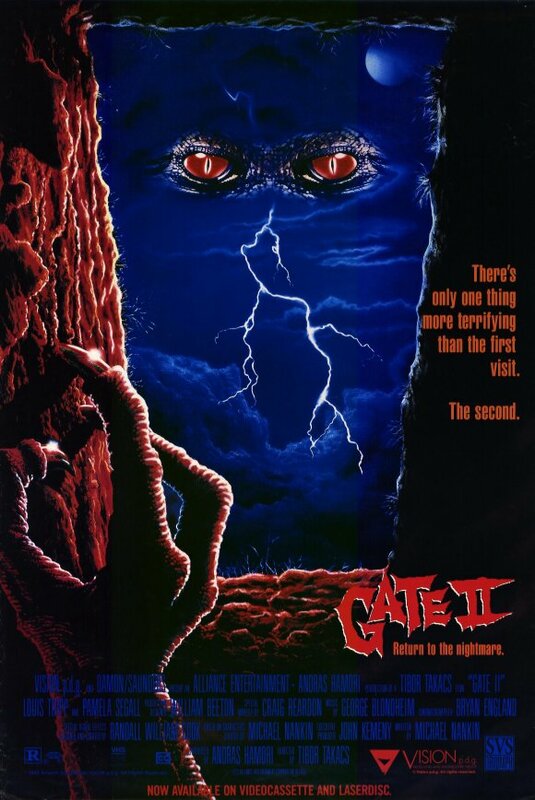 Writer Michael Nankin (The Gate) and director Tibor Takács (I Madman, The Gate, The Outer Limits, Mansquito) both return to bring us this sequel to my childhood favorite The Gate (1987) and, along with the now older and more mature fans of part 1, they bring an R-rated sequel. Despite being rated-R, this sequel feels less serious than its predecessor. It’s more feisty and sophomoric, and I honestly struggle to see why this is R and the other is PG-13 outside of maybe profanity. As their wishes are bastardized, it’s almost silly (one might even say “crappy”). And one seriously bitten by the minion undergoes some gooey changes; essentially a lot of gooey awfulness goes down in a men’s room stall as John’s skin melts and ummm “excretes” from his body. Besides the gooey effects, we enjoy a lot of the tiny minion demon and some stop-motion animation for the fully transformed John-demon. We actually end up with more than one man-sized demon, the effects of which are mixed from “okay” to pretty good with one stop-motion demon, one body suit monster effect, and one latex and prosthetics. It’s a nice mix of effects. The Other Side—likely named after Poltergeist II (1986) and conceptually designed considering Phantasm I-II (1982, 1986)—offers a neat other-worldly altar for the final confrontation. When comparing to part 1, I’d say the characters here are more shallow and it was hard to invest in them. Even Terry—the teenager who once summoned demons in 1987 and died a horrible traumatic death but was somehow spared in the end—decided to summon demons again!!!! While this does honestly makes for a “fun” horror movie, it doesn’t make for a sympathetic protagonist. But, like part 1, the pacing has no slow parts as we jump right into the action and keep it coming. I’d say this is a fun watch, but probably not nearly as rewatchable was part 1. 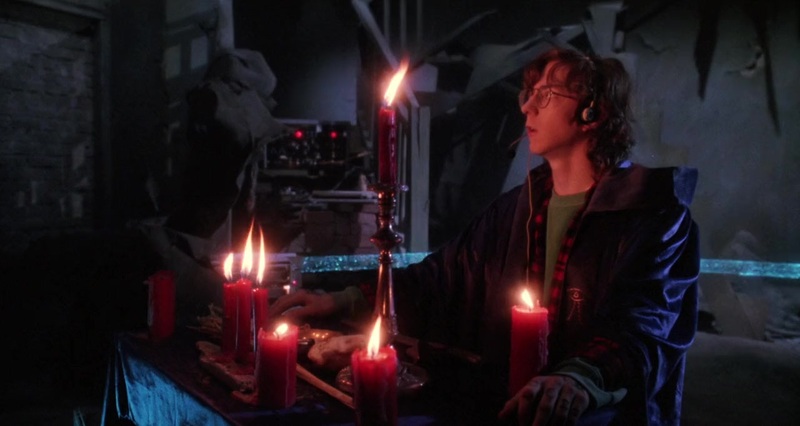 In the end, I’d highly recommend this to fans of The Gate (1987) for at least a one-time watch, fans of bad 80s-era horror would likely enjoy this for the range in effects and good pacing, but anyone looking for a good horror “film” should look elsewhere. ← John’s Horror Corner: Final Destination 2 (2003), bringing more humor, more splattering gore, and more elaborate death scenes. I had no idea there was a sequel! Dead guy in the wall from the first movie was a top 10 moment of my childhood. I’m not really sure what that says about me. Dead guy in the wall haunted my memory as well! LOL. I saw this young and remembered it as a really scary movie until I saw it again decades later and realized it was only PG-13 and not very scary at all. 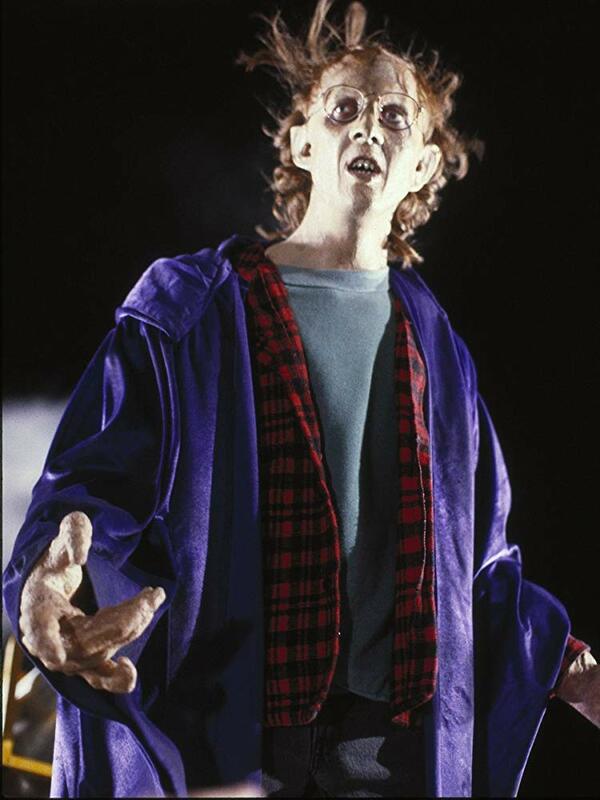 But still a great horror for younger and 80s nostalgic viewers. Love, Death & Robots (2019), the animated Sci-Fi anthology series I’ve waited my whole life to see!